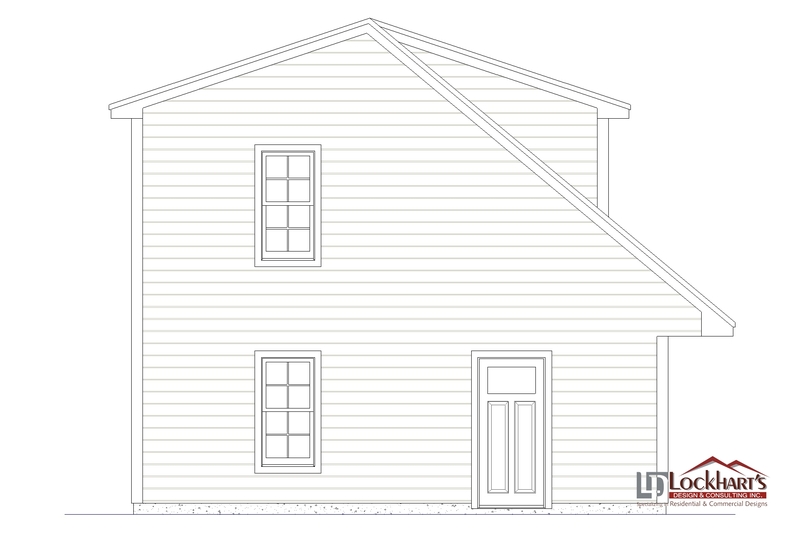 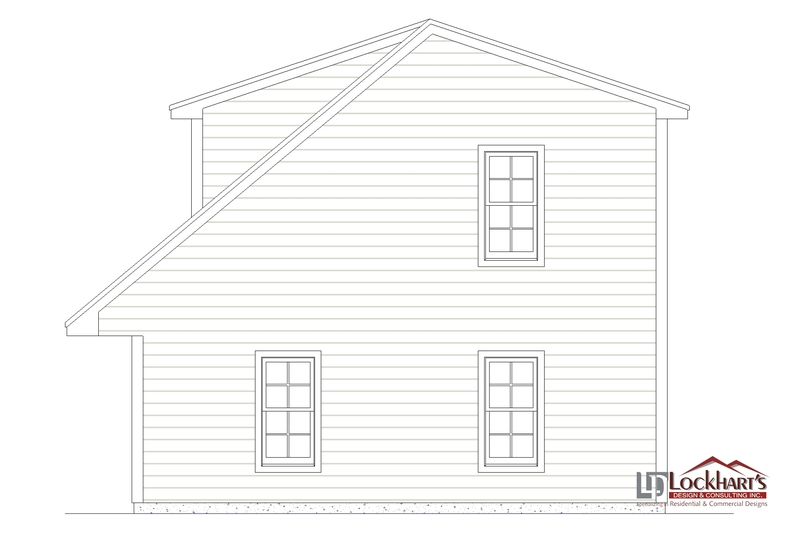 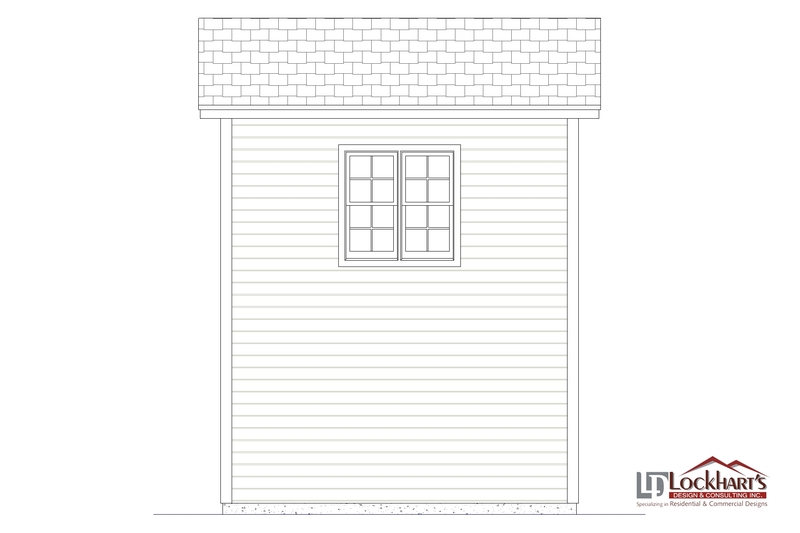 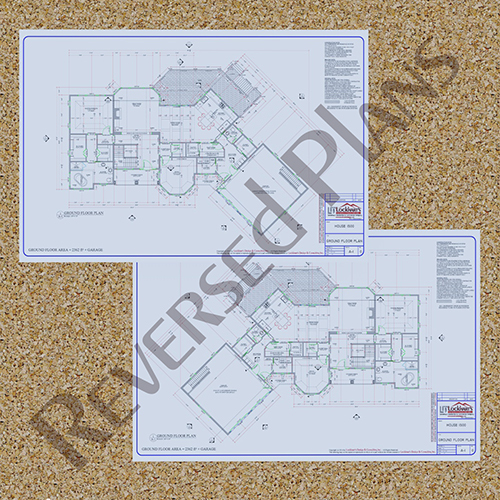 Elevations, 2D view of garage. 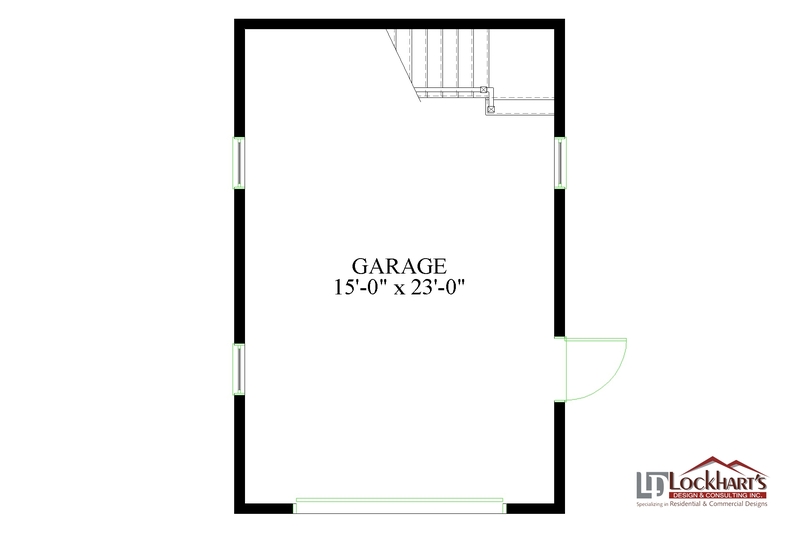 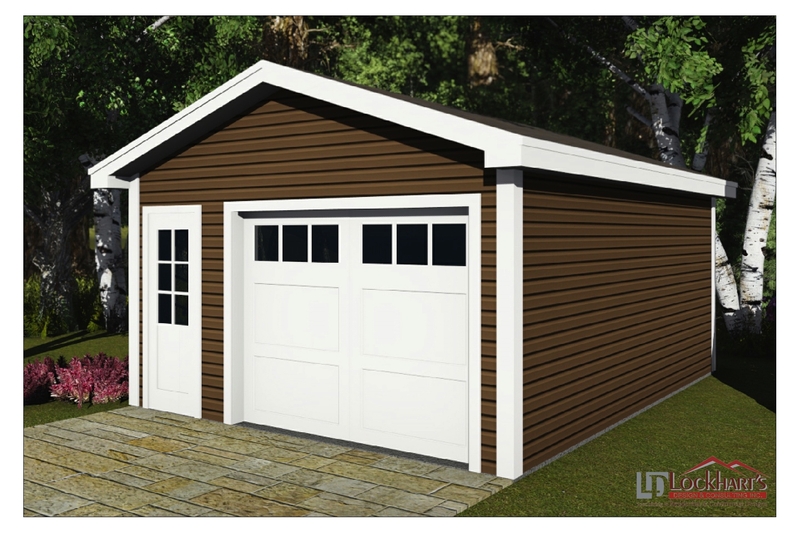 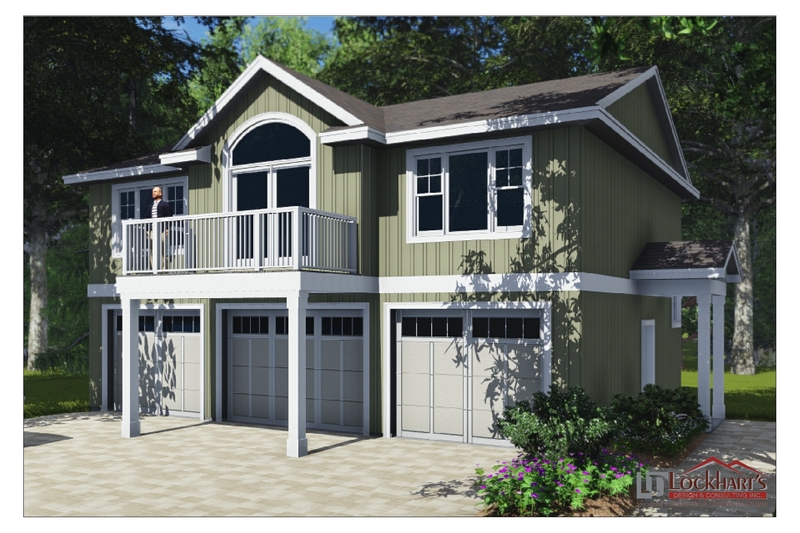 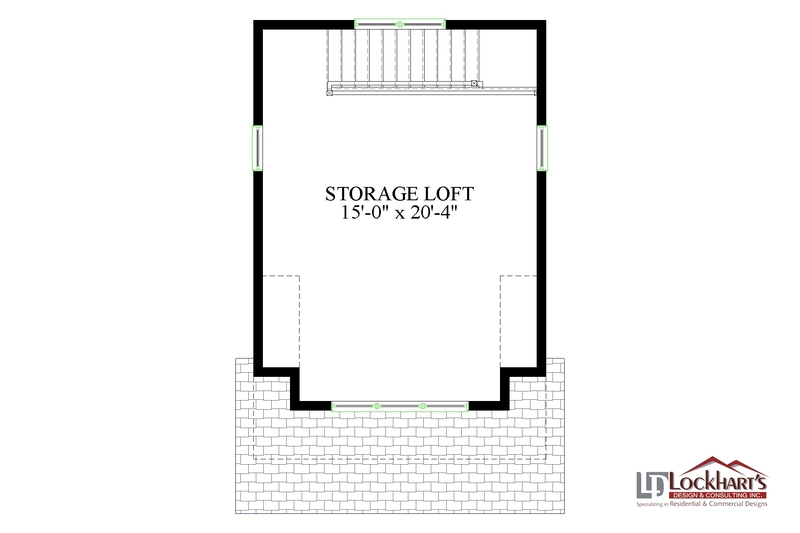 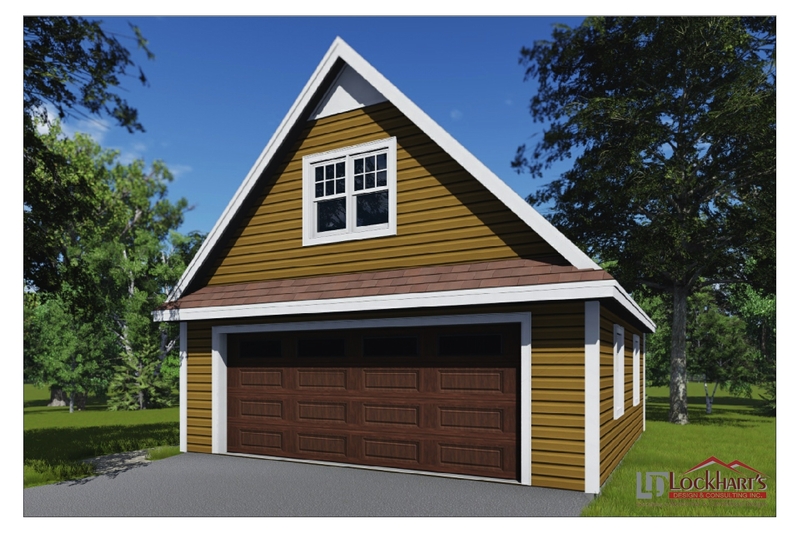 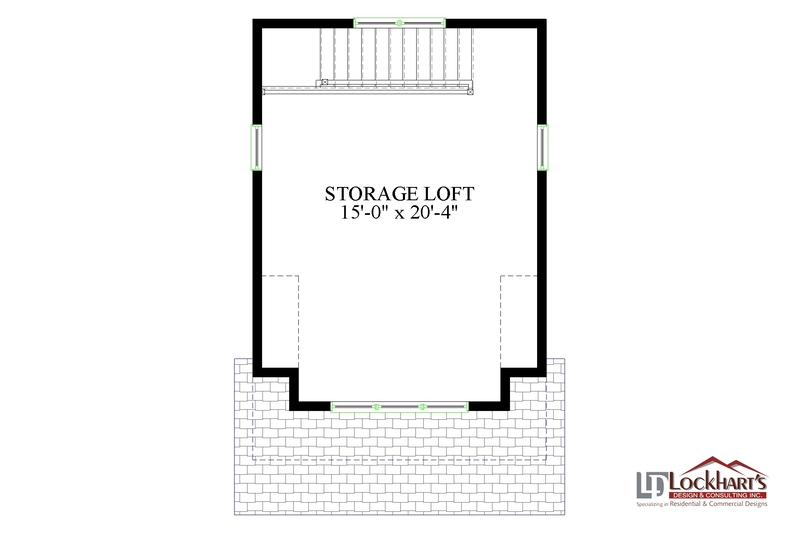 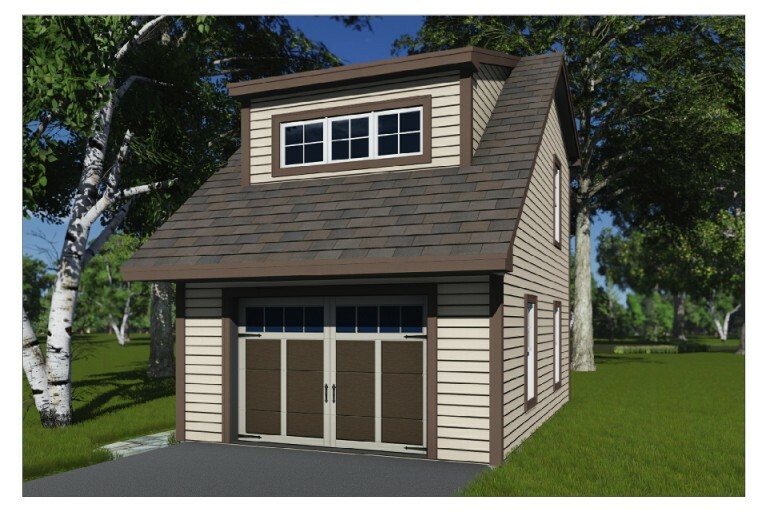 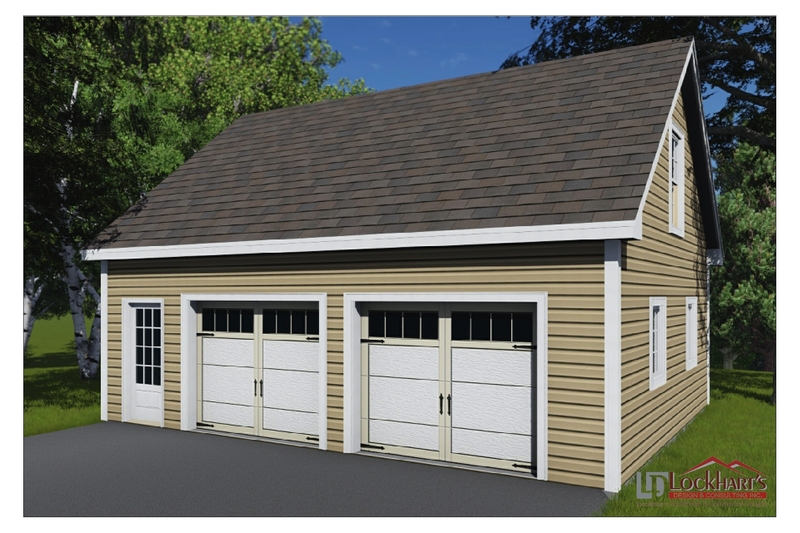 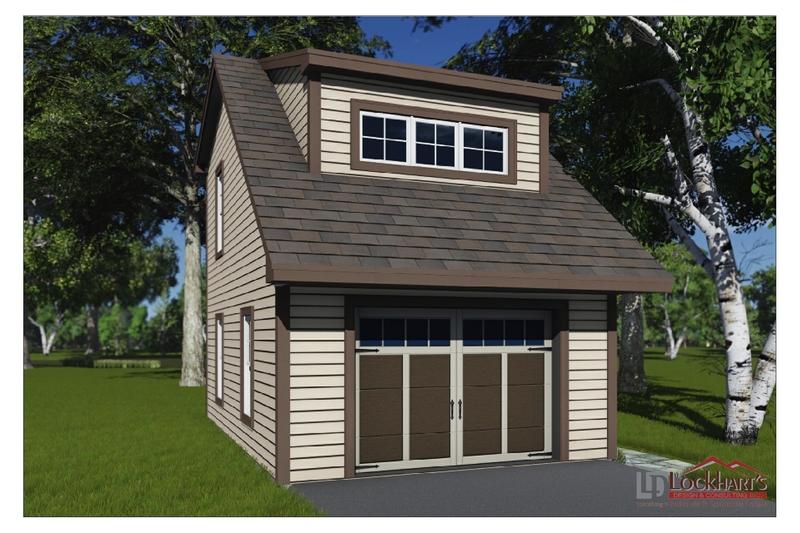 16′ x 24′ one car garage with 300 sq. 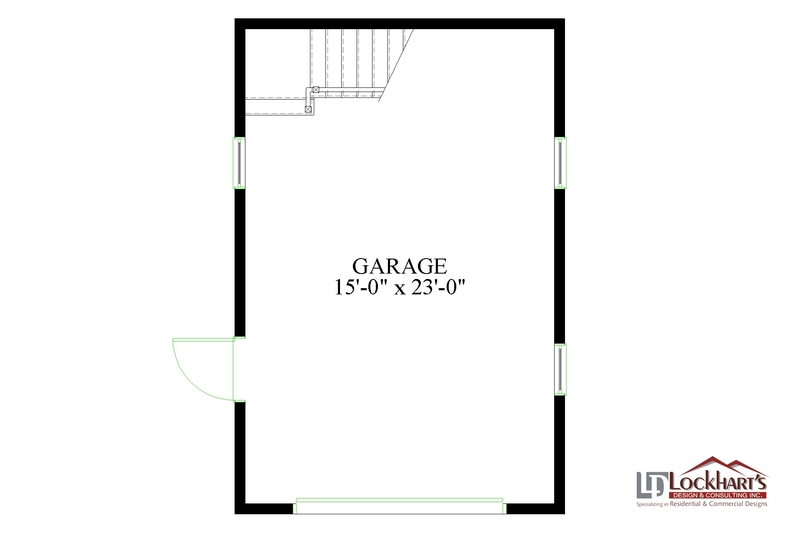 ft. bonus room.